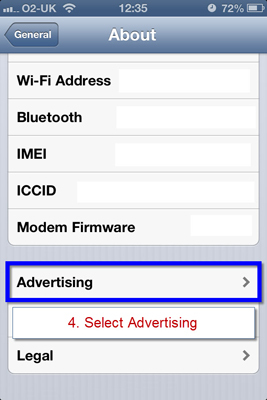 By default, all Apple devices running iOS 6 will now have an option “Limit Ad Tracking” that is switched to “Off”. This means that advertisers can use your data to target adverts based on your browsing behaviour. 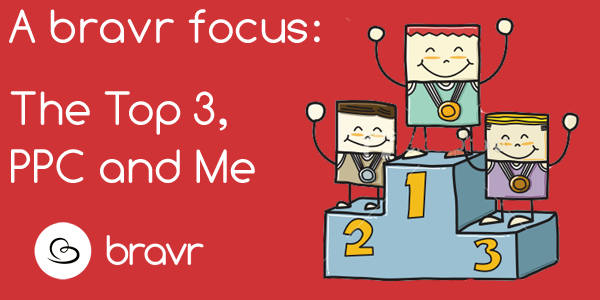 At bravr, we believe that all consumers should have a choice whether this information is shared with organisations. 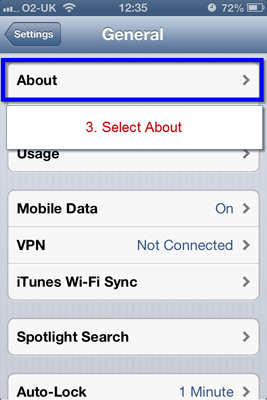 So here’s a simple step-by-step guide on how to disable tracking on your Apple device. 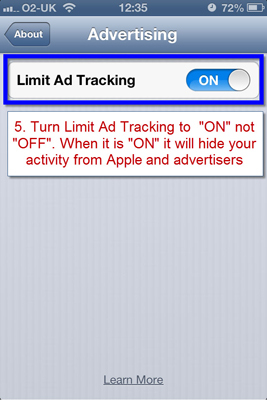 You may have noticed that Apple have intelligently named the tracking option “Limit Ad Tracking”, which is a disabling title. This means that when it is “OFF” (The default setting) your information is then shared for the purpose of targeting adverts based on your browsing behaviour. By all means, if you are happy with targeted advertising, then no action is required. The team here at bravr thought you should know that you have an option to turn this off if you are uncomfortable with it. 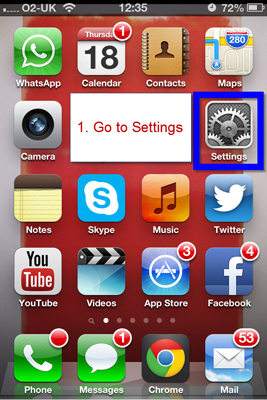 Let us know your thoughts on the new iOS 6 feature, post on our Facebook page or send us a tweet:@bravr.